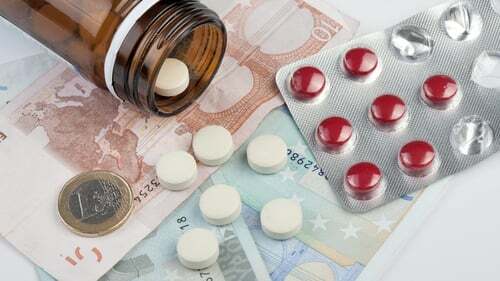 Private health insurance was a luxury many people decided to forego in the downturn, but according to the Health Insurance Authority, take-up is on the increase again. Figures from the industry regulator show that an additional 22,000 people took up private health insurance policies last year, bringing the total insured to 2.174 million at the end of December 2017. That equated to just over 45% of the population with in-patient plans, compared to just below 51% at the peak in 2008. The good news for those thinking of delving into the private health insurance market for the first time is that prices on some of the more basic plans have been falling in recent months, introducing an element of enhanced competition to the market place. There are three main providers of health insurance in Ireland. VHI is the oldest and biggest provider in the country with over one million policy holders. Laya Healthcare, which was taken over by AIG in 2015, is the second biggest provider in Ireland with over half a million subscribers. Irish Life Health was created in 2016 after the Irish Life Group bought Aviva Health and took full control of GloHealth, in which it previously held a 49% shareholding. There is also the HSF Health Plan (Hospital Saturday Fund). It provides cash benefit plans, but not in-patient health insurance. It operates by giving cash to policyholders to offset some day to day outpatient expenses. It can also provide grants for overnight stays in hospital. There are more than 350 different health insurance plans on the market ranging from the most basic to the top of the range 'gold plated' plans. Deciding on the plan that suits your particular needs and health profile can be daunting. All three health insurers provide basic starter plans for younger members who may not have particular health issues and are unlikely to require hospitalisation. Dermot Goode of totalhealthcover.ie recommends making a reasonable investment to get quality cover. "The starter plans that cost €500 - €600 are good for getting on the first rung of the ladder or to avoid age-loading." The entry level plans he recommends are VHI's Start plan, which costs €447.94 annually, Laya's Assure Vitality, costing €599.06, and the Select Starter from Irish Life Health which costs €486.20. "Plans costing around €900 will cover public and private hospitals. A good plan, getting you into every public and private hospital, including specialist hospitals like the Blackrock Clinic and the Beacon for certain cardiac procedures, will cost €1100 to €1300," he explained. The mid-level plans Dermot Goode recommends are the VHI One plan 250 which costs €855.04, Laya's Essential health 300, costing €895.17, and Benefit 1 from Irish Life Health which retails at €799. "A good comprehensive corporate would be the VHI Company plan plus level 1.3 which costs €1,128.37, Laya's Simply Connect plan for €1,179.76 and the 4Dhealth 2 plan costing €1,171.90." If there's one piece of advice Dermot Goode espouses, it's watch out for the renewal period and don't just let your policy roll over. The basic rule of thumb is, if you are on a policy for more than three years, you're most likely paying too much. "Only around 20% of people actively shop around. Older people tend to auto-renew. Insurance companies love them. They are missing out on anything from €500 to €1,000 per adult. The savings are considerable." All the health insurers are obliged to make all of their policies available to everyone, even corporate plans. "There is a game going on here and the game is very simple. The insurers try to look after their big ticket corporate clients but everyone is entitled to the plans that they make available for them." He also recommends doing some homework before renewing. "Never phone a provider and say 'I can't afford this plan, what do you recommend'. It's game over. They will offer what suits them. Ask them to check all plans and recommend the closest to the equivalent of what you have - including corporate plans - that are cheaper." The plans can be compared on the Health Insurance Authority website, hia.ie. Although make sure to arm yourself with the names of the plans that you wish to compare and limit the number of options. Otherwise, the information can be rather overwhelming. The other piece of advice Dermot Goode has is to consider an excess. "Older consumers who are facing a €5,000 renewal for a couple can halve the cost by taking on a small excess in a private hospital. Look at the savings and don't be afraid to take on an excess of €75 to €100. It only applies to a private hospital per claim, not per night." In addition, don't be afraid to switch providers. "The insurers must take you on and they cannot restrict you from cover by law. You don't have to re-serve waiting periods. Everything you're accustomed to with your current provider will be available with a new provider. That's the law. "There are 3 really good health insurers in the market. Even if any of them leave, the legislation says you can switch back to another provider with no break in cover. About a third of the average health insurance premium is made up of a levy that gets passed onto Revenue. Although it's the insurer that's liable to pay stamp duty on their plans, when the levy goes up, it generally gets passed on to the consumer in the form of higher premiums. The money goes into a 'risk-equalisation fund' which is then used to compensate companies who have a larger proportion of older - and generally less profitable - subscribers. That mainly applies to VHI. The principle behind this is 'community rating' - everyone gets charged the same rate for a given level of cover, regardless of their age or health status. Higher charges apply to individuals who take out health insurance for the first time when they are aged 35 or older. There is a 2% loading for each year over the age of 34. So for example, if an individual takes out their first policy when they are 35, the cost is 2% higher than a person taking out the same policy at the age of 34. For a 44-year-old entering the health insurance market for the first time, their premium will be 20% higher than the 34-year-old taking out the same policy. So for anyone approaching that age threshold, it's worth getting into the market, even with a very basic plan, to avoid that future loading. Many holders of private health insurance policies will end up being treated in public hospitals. A practice has emerged in recent years whereby those insured patients are asked to sign a form allowing them to be treated as a private patient in the public hospital. Dermot Goode's advice is clear. "Don't sign it. Nothing changes if you do. You get no additional services yet you'll be charged €813 per night instead of €80 because you've signed the waiver. That's why your premium is going up. "Wait until you are in the private room before signing the form. Otherwise you do not have to sign it. We would advise customers to be careful and to be aware of their entitlements," he advised.